Very friendly and helpful staff. Very quiet,good place to pray . Perfect location. 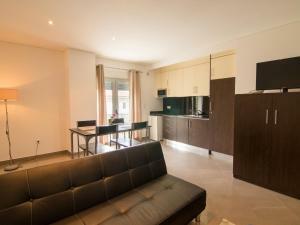 Apartment was clean, simple yet pleasant decor, newly renovated, very quiet at night. The hotel was absolutely amazing, We got a great room with a view of the Fatima Sanctuary. Our purpose of the visit was to visit the Sanctuary. What better place to stay with a room with a view of the Sanctuary. Ana at the reception was just awesome in facilitating our check in and also arranging our Lunch at short notice. Our check out experience was excellent too. The breakfast was fabulous, rooms, bed and everything else just too good to be true. Cheers to Luz de Fatima. You made our visit an occasion to remember always. Thank you!! Muito Obrigado!! Everything! An apartment, with living room, full kitchen and beautiful bathroom. Staff was very helpful, close to sanctuary. We had a bus to catch before breakfast Hours. Staff came in early to provide us with breakfast! I loved this property!!! We booked a room for a reduced price, and got an apartment. From the pics we couldn't say it's an apartment. It was luxurious for just 2 of us and we loved it! It was clean and spacious, comfy beds, great bathroom...everything just perfect! And they left an air conditioning to warm it up for us. Breakfast was perfect, too. Very tasty and all what you want was there. Location: 2 minutes by foot to the main square and the Church. Wifi: great! Staff great, too. Very spacious apartment. We cooked a lasagna in the microwave, and had everything we needed. I asked the front desk for a kitchen towel, two coffee cups and two more bath towels, and was quickly accommodated. Parking was either in an underground garage or in a street level lot. Breakfast was a buffet, so all the coffee, juice, fresh fruit cocktail, yogurt, rolls, etc., you could want. So close to the Basilicas, you could not ask for a better spot! The breakfast buffet was the most amazing breakfast I have had in a while! There was fresh fruit, assorted pastries and breads, hot scrambled eggs, etc. The room/apartment was huge with all the basic amenities. The apartment was very spacious and clean. The breakfast offered was excellent as well. Staff super helpful, rooms are one br apartments, breakfast is quite adequate, but the location is perfect! Lock in a great price for Luz de Fátima - Alojamentos – rated 8.9 by recent guests! Centrally located in Fátima, Luz de Fátima – Alojamentos offers self-catering apartments 650 feet from the Sanctuary of Our Lady of Fátima. Free WiFi is available throughout the property. 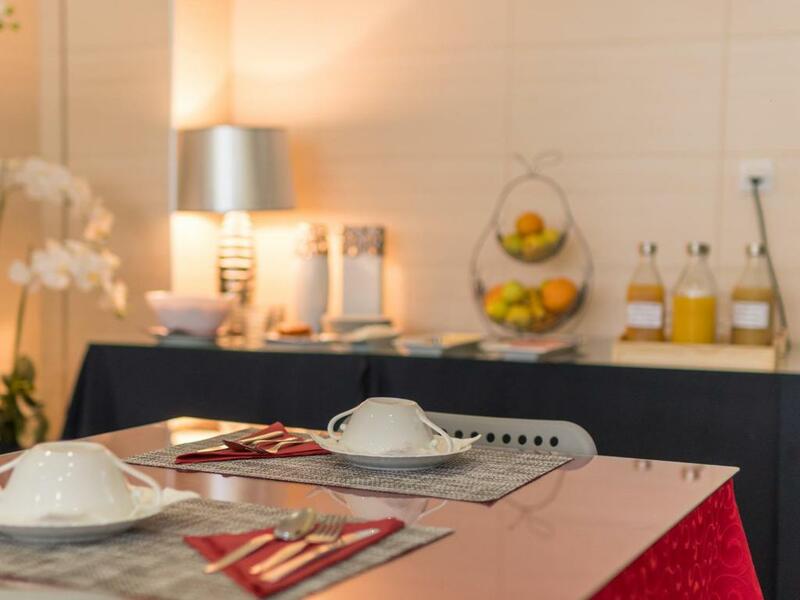 Providing apartments with 1 or 2 bedrooms, each air-conditioned apartment comes with a flat-screen TV, a sofa, a telephone, wardrobes and a dining area. Each apartment has its own private bathroom with bath, shower, bidet and free toiletries. From the balcony, guests can view the Sanctuary. The kitchenette has limited usability since it is only equipped with a microwave and a refrigerator. Guests enjoy the varied menu provided by the restaurant on site. In addition, a continental breakfast is included in the rate and is served every morning. Luz de Fátima includes a gift shop on site and a bar. Access to the A1 motorway is 1.9 mi away connecting guests to Lisbon and Porto. 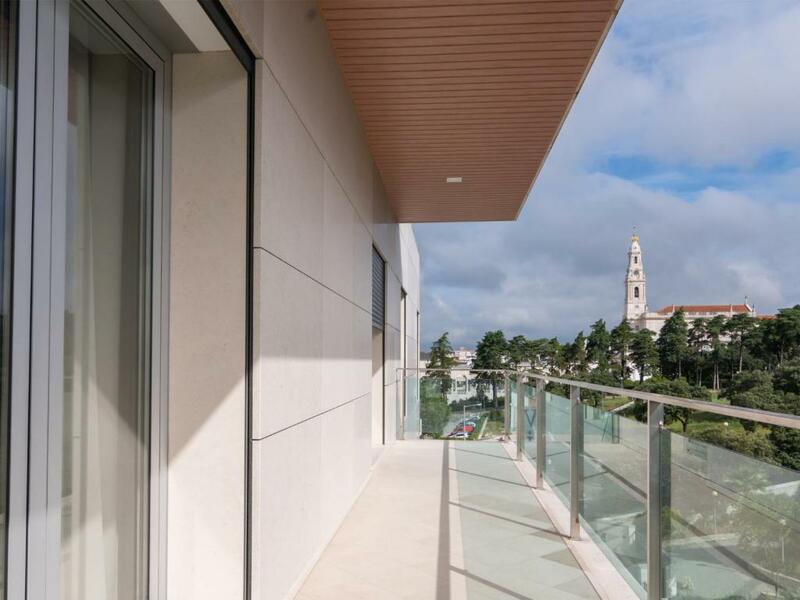 The city of Leiria is an 18-minute drive and Lisbon International Airport is 75 mi away. 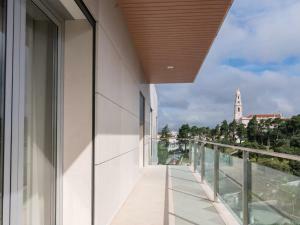 뀐 Located in the top-rated area in Fátima, this property has an excellent location score of 9.5! 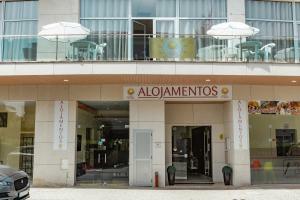 When would you like to stay at Luz de Fátima - Alojamentos? This apartment features a balcony and a twin bedroom. The kitchenette has limited usability since it is only equipped with a microwave and a refrigerator. The living area includes a sofa and a flat-screen TV. Heater, linen and towels are provided. 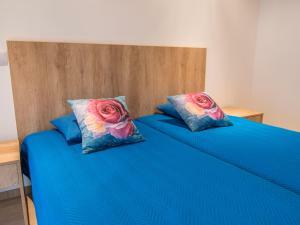 This room type accepts 2 adults and can accommodate 1 extra guest in extra beds, at an extra fee. 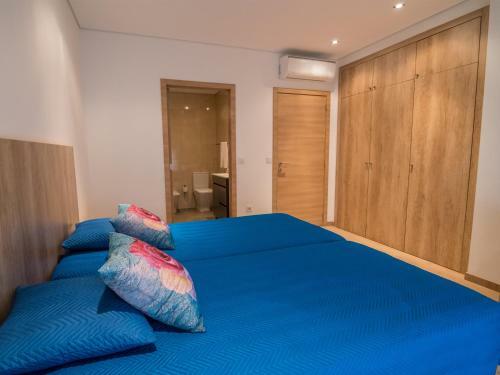 This apartment features a twin bedroom, a double bedroom and a kitchenette with limited usability since it only has a microwave and a refrigerator. The living area includes a sofa and a flat-screen TV. Heater, linen and towels are provided. This room type accepts 4 adults and can accommodate 1 extra guest in extra beds, at an extra fee. Quiet place. Close to the Sanctuary and the center. There are some museums that you can visit and several religious shops and bookstores. House Rules Luz de Fátima - Alojamentos takes special requests – add in the next step! Luz de Fátima - Alojamentos accepts these cards and reserves the right to temporarily hold an amount prior to arrival. Please note that it is not possible to cook in the apartments since the kitchenettes do not have stove or oven. Please note that guests must contact the property when arriving after the check-in time. Please inform Luz de Fátima - Alojamentos of your expected arrival time in advance. You can use the Special Requests box when booking, or contact the property directly using the contact details in your confirmation. Large clean apartment very close to the church, friendly and helpful staff, I was also able to park my car in the under ground car park. There was a good spread of various food for breakfast. I would certainly consider staying here again. The restaurant downstairs is not to be recommended, we had a poor experience and the food was of a poor quality. The apartment was very spacious and comfortable, the buffet breakfast was excellent and it's situated right next to the shrines. Very large apartment close by the basilica. Clean, modern styling, though not opulent. Nice, IKEA styling appropriate for pilgrims visiting Fátima. Very good breakfast. Here the accommodation is very comfortable and clean. Room was unbelievably spacious and very clean. Very near the sanctuary. Lovely and helpful staff. 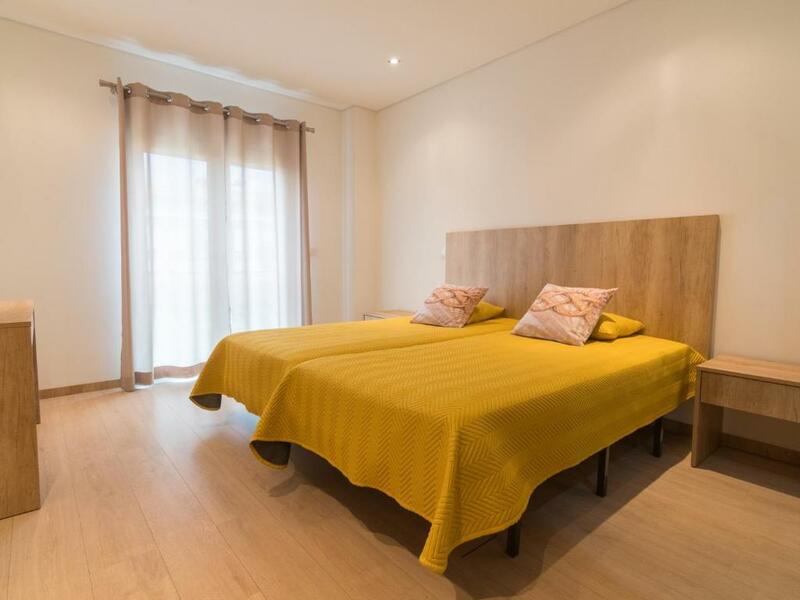 Very big and comfortable apartament in the best location. The staff was nice and the position is amazing! So near to the sanctuary like more or less 300mt and also is near to Via crucis like 1,5km. The breakfast and the dinner was very good and with so many choices. The bed was super comfortable and big so very good. The shower was not too safe. It was slippery and had no grab bars. Not we’ll equipped for elderly.